Deneane: My son, daughter and my daughter’s best friend (who might as well be my daughter) roll a Scattergories dice early in December. We buy inexpensive and quirky little items that begin with that letter and get together for a Stuffing Stockings with Stupid Stuff party. We play board games, have some drinks, eat some food and just enjoy an evening of laughter and fun. Alanna: Decorating the Christmas tree with my family, then watching Christmas Vacation. Charlotte: Hunting for that perfect tree, preferably a fresh-cut one, and decorating it. Deneane: My mother’s cornbread dressing. Alanna: I love Panettone- especially with a cup of espresso. Charlotte: Old family recipe for sugar cookies that uses sour whipping cream and almond extract. They are the best! Tell us about a Regency Christmas tradition that appears in your story. Deneane: Mistletoe gathering! In my book, the children in Cornwall gather bunches of it to sell and make a little Christmas pocket change. Alanna: On Christmas Eve, Antonia and Dracon decorate the house with holly, ivy, and of course, mistletoe. Charlotte: Hmm, from the title you can probably guess there is a kissing bough, but I’ll also reveal that the hero, Jack, brings in a Yule log. Tell us something about your story that is NOT in the blurb. Deneane: HOPE has an underlying theme of female empowerment that comes through without feeling strident or overbearing. Alanna: Antonia loves to play the violin. Charlotte: The heroine, Isabella, is deaf. Three Holiday Novellas—with and without peers. His gambler brother the viscount took everything from Milton Anthony Windham, including his chance at love, but Tony is nonetheless determined to save his family estate from ruin. Success will require the help of his cousins the Ackerly sisters and a hasty marriage to a well-situated woman, all before the end of the holiday season. Hope awaits. Dracon, the 7th Marquess of Trawden, detests Christmastide, which is a reminder of all he has lost. 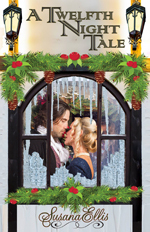 This year, however, during his flight from London merriment to his ancestral home in the country, he will encounter a carriage accident that brings him face to face with Miss Antonia Madeley…and a chance to reverse the mistakes of the past. Years ago, Jack Telford did what he must in order to “succeed.” It cost him his one true love. Now, haunted by memories of what could have been and dreams of what still might be, despite her “unsuitability”, despite what the act may cost him, he will travel through snow and across country to reunite with Isabella wherever she may be and make her understand the words she was always meant to hear. 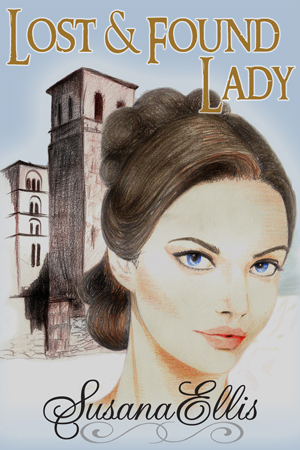 Deneane Elise Clark is an historical romance novelist. 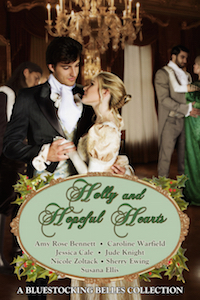 Her published work includes the The Virtue Series, a lighthearted romp through the ballrooms and bedrooms of Regency London. The books tell the love stories of the motherless Ackerly sisters, beginning with Grace, continuing with the stories of Faith and Charity, and concludes with the newly released Mercy. 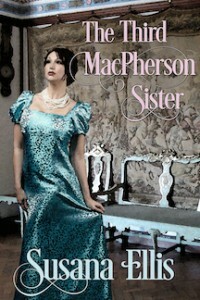 Her upcoming work includes stand-alone continuations featuring the Ackerly sisters in Hope, a novella featured in a Christmas Regency anthology, and will continue in 2016 with Prudence and Temperance. 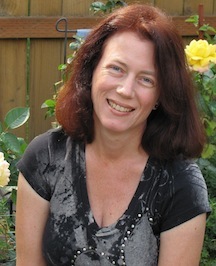 Deneane’s books have been published in the United States, Canada, the UK, and Australia, and have been translated into several languages, including Dutch, Norwegian, and Turkish. Deneane grew up in New Orleans and misses it dreadfully. Currently, she resides near Charlotte, NC, but has also lived in the Northeast, the Midwest, and on the West Coast. She prefers mountains to beaches, cities to suburbs, and suburbs to rural areas, and would be perfectly content if she could just manage to convince the world to flip flop the working day so people slept during the day and worked at night. A single mom, Deneane raised her now grown up children while working full time and writing at night. Her daughter enjoys traveling, so moves in and out as the mood strikes, and her son is serving our great country in the United States Marine Corps. She enjoys sparkling beverages, music, plays trivia with an amazing bunch of friends, and travels any time she gets the chance. Deneane loves interaction with her readers. You can friend and/or follow her on Facebook, Twitter, Tumblr, and Instagram. If you’re not a fan of social media, she also writes a blog. And, although it sometimes takes a while, she makes every attempt to respond to all emails, messages and comments. 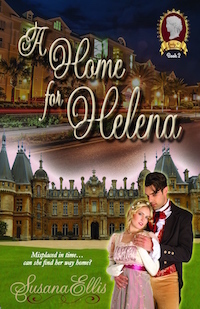 Multi-published historical romance author Alanna Lucas grew up in Southern California, but always dreamed of distant lands and bygone eras. From an early age, she took an interest in history and travel, and is thrilled to incorporate those diversions into her writing. 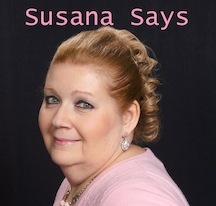 Alanna writes Regency and Western historical romance. When she is not daydreaming of her next travel destination Alanna can be found researching, spending time with family, or going for long walks. She makes her home in California with her husband, children, one sweet dog, and hundreds of books. Just for the record, you can never have too many shoes, handbags, or books. And travel is a must. 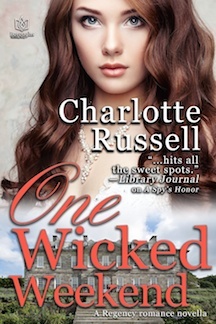 Charlotte Russell didn’t always know she wanted to be a writer. At one point she had grand plans to be an architect, until she realized she couldn’t draw anything more complicated than a stick figure. So, she enrolled at the University of Notre Dame and studied her first love—history. 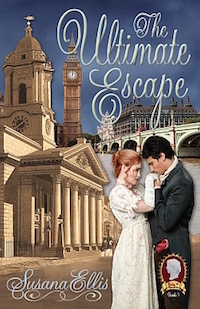 Now she puts all that historical knowledge to good use by writing romances set in Regency England. When not pounding on the keyboard, she watches sports with her husband (yes, he’s lucky! ), chauffeurs her three kids around, volunteers for too many things, and entertains two cats.